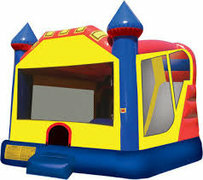 3-1 Jumpers: Perfect for younger children. 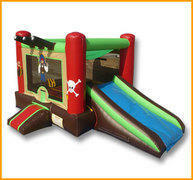 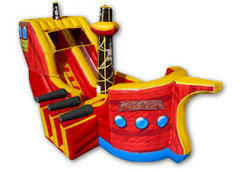 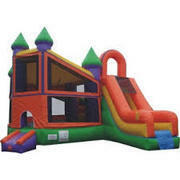 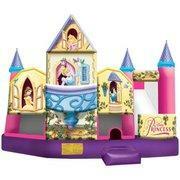 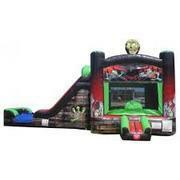 Includes: Jump Area, Pop-Ups & Short Climb to a Short but fast Slide. 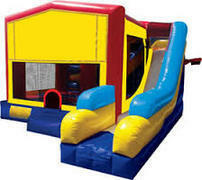 4-1 Jumpers: Great for all ages. 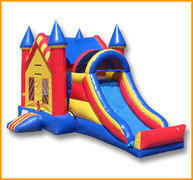 Includes: Jump Area, Climb, & Slide. 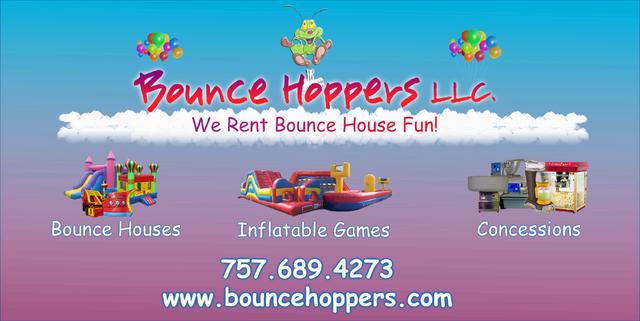 Some have basketball hoops ond pop-ups. 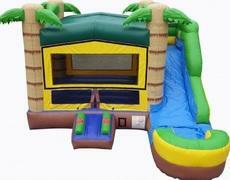 5-1 Jumpers: Great for all ages. 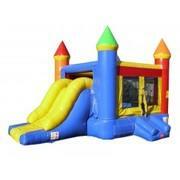 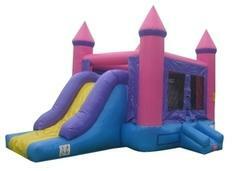 Includes: Jump Area, Climb, Slide, & a Basketball Hoop. 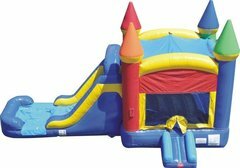 Some Bounce houses have pop ups and inflated obstacles.